Guest post by Courtney Lukitsch, principal and founder, Gotham PR. PR pros understand that ambitious students are often left with scant information about how to find the best internship, and they also know how crucial it is for them to score one. In fact, a study published in The Atlantic boldly states that a well selected internship at the right firm might be the most beneficial hiring asset employers look at post-university. While popular culture may find humor in the mid-to-late career opportunity, as seen in the newly premiering film The Intern, the majority of successful PR executives at every level can wax poetic about their most formative or inspiring internship. 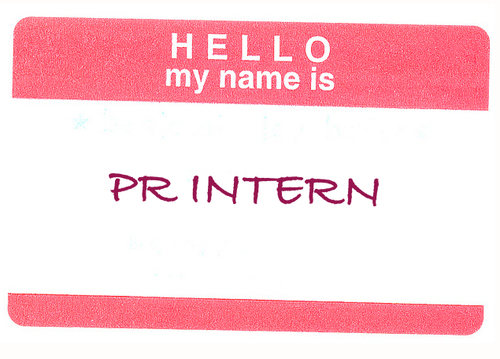 At Gotham PR, we’ve hosted a highly successful paid and for-credit internship program since 2007. Alumnae from our agency include executives—all currently under the age of 30—holding significant PR leadership roles as spokespersons and account supervisors at companies and agencies that include LVMH, Lyft, Amazon, Vice Media, Edelman, William Morris and J Walter Thompson. That’s a very impressive list, which demonstrates that a good launching pad is everything. Likewise, each intern interacts with senior PR pros that teach them the ropes: The Gotham PR Agency Team. In the case of many candidates today, successive internships lead to the big hire at a dream agency or in-house client. Ideal in any scenario is the nascent formation of a PR network and a mentor relationship over the course of a career. It’s at the very heart of what PR is all about: forming long-lasting, trusting and strategically valuable contacts, while simultaneously creating a future-forward network in a fast-paced industry. PR Daily advises that in order to glean maximum benefit from an internship, budding PR pros should be proactive and regularly contribute to the team and overall at the agency. In other words, become memorable and someone that will be recommended in the future. This also includes forming a relationship with a potential agency mentor, whether it is the founder, managing director or even an SAE. Forming professional PR relationships and learning new skills from team members at every level of an agency or marketing company is really the number one job of the intern. As this Forbes piece puts it, researching the work environment carefully prior to entering it will allow the burgeoning public relations exec to anticipate how to navigate in any new arena and thrive within it. At Gotham PR, we’ve similarly advocated on the topic of how juniors can approach their career path and how in turn, an agency principal will help shape their professional trajectory over the longer term beyond the internship experience. Courtney Lukitsch is the principal and founder of Gotham PR, which was founded in 2002 and is a boutique Marketing PR firm based in New York and London, with a roster of high profile clients in 25 global markets. You can find Courtney on LinkedIn or Twitter.